The sport of pickleball is rapidly growing. Check out our pickleball courts beside the Community Garden at the qplex. 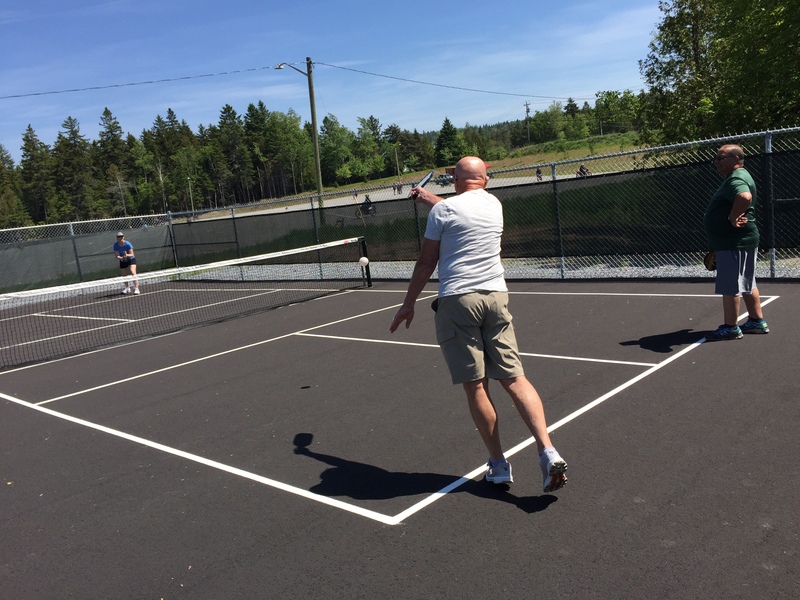 Visit the Facebook group “Pickleball Quispamsis” for more information. Note: This is an abbreviated form of the rules to give a quick overview of how the game is played. See the official rules at ipickleball.org for more information. If there is a conflict between this summary and the official rules, the official rules prevail.